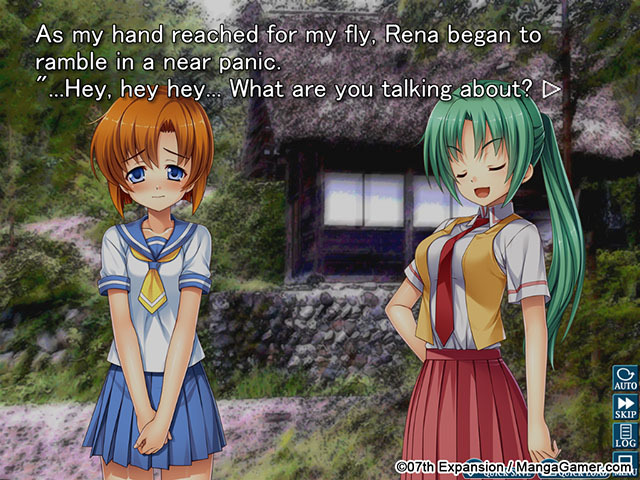 Rena is the main heroine of this story. She’s a classmate of Keiichi’s. She is quite interested in his everyday life, possibly because of an inherent urge to look after people. She comes with the standard-issue honesty, earnesty and blushes that you find in many heroines. 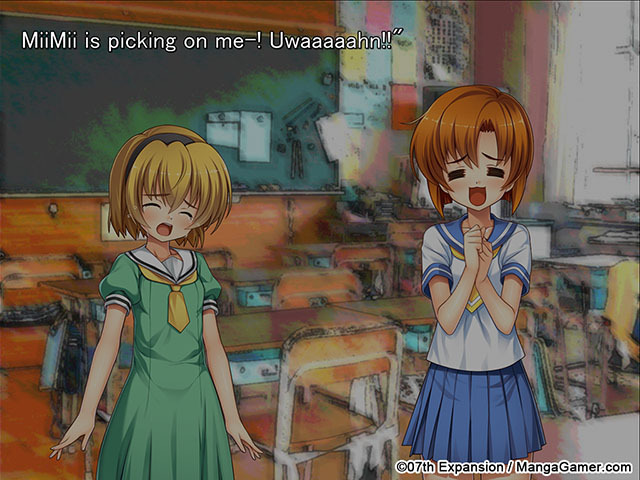 However, her only reward for taking care of Keiichi is an incessant series of pranks. It really is unfortunate for her. 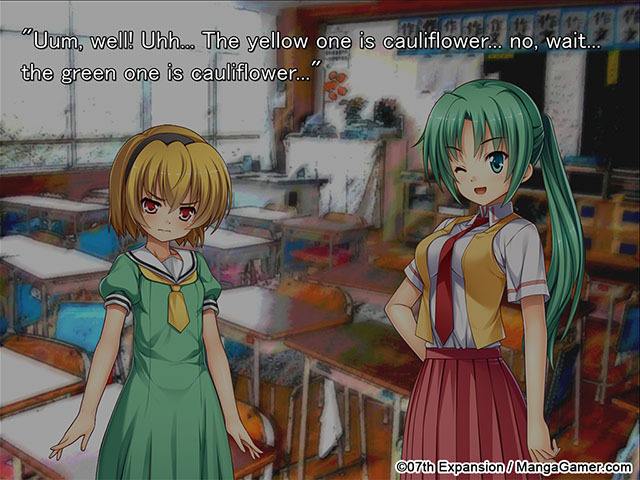 Mion is one grade higher than Keiichi. She is the class representative. She is the active class representative type, which is the second most common type. She is a leader, someone who makes friends with everyone, regardless of gender or age. Because of her high-strung, easy-going, hyperactive personality, those around her never have to be bored. She is about the best kind of friend anyone could wish for. Her personality is somewhat marred by a tendency to sound like an old man, but that’s something to be forgiven. 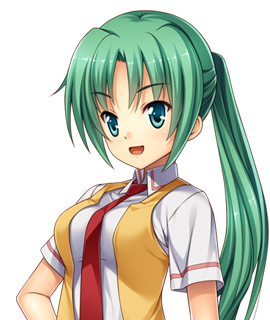 Mion likes games of all kinds, be they card games, board games or video games. Because of who she is, her games tend to be high-tension. It’s to be expected. She plays with her friends in the context of club activity. A girl one grade lower than Keiichi. She is usually very polite, but because she is still young she sometimes has difficulty with grammar. However, behind her innocent exterior lies a personality that loves setting traps for other people. You could call her a trickster. 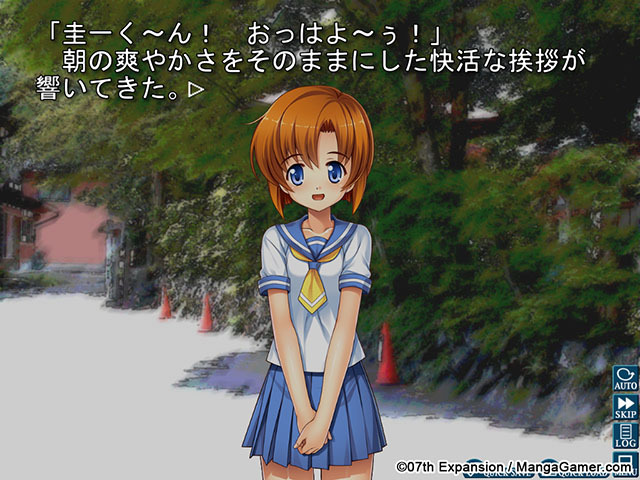 She tries her utmost to snare Keiichi, but she has only limited success. 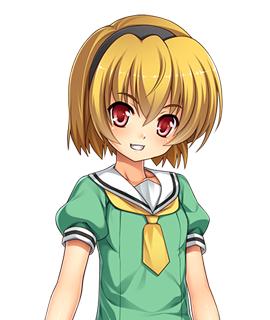 Although the result of failure is easily imaginable, Satoko doesn’t like to lose, and she doesn’t learn from experience. That is why she keeps confronting him, with all due consequences. Even when she realizes her skills are insufficient, her smile never wavers. 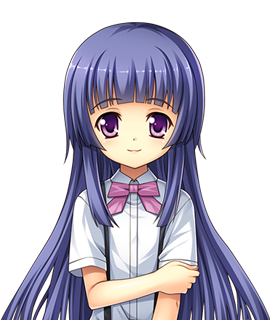 Rika is a grade lower than Keiichi, and thus is a classmate of Satoko’s. 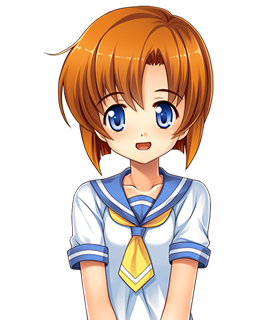 She is very quiet and reserved for her age, which makes her almost the polar opposite of Satoko. However, the two of them can often be found in each other’s company. 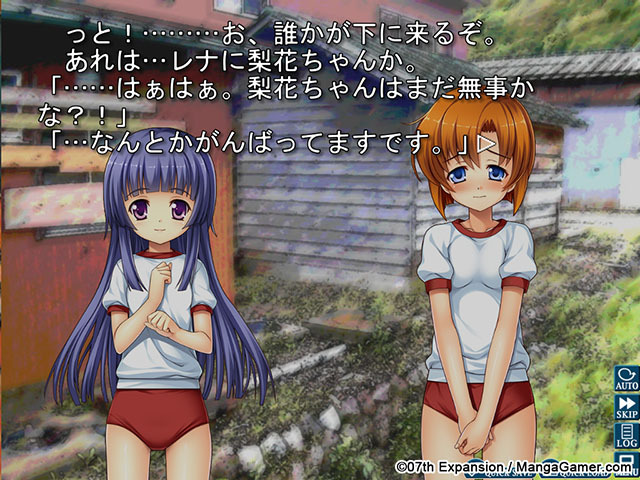 Whenever Satoko is in tears after losing against Keiichi, it is Rika who cheers her up. 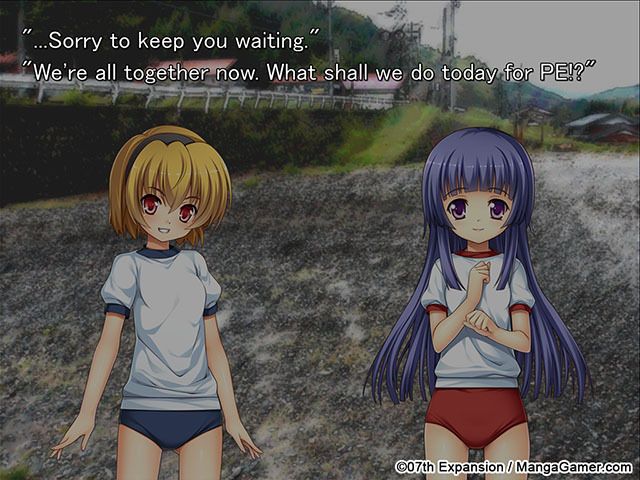 When Satoko wins, Rika comforts Keiichi instead. 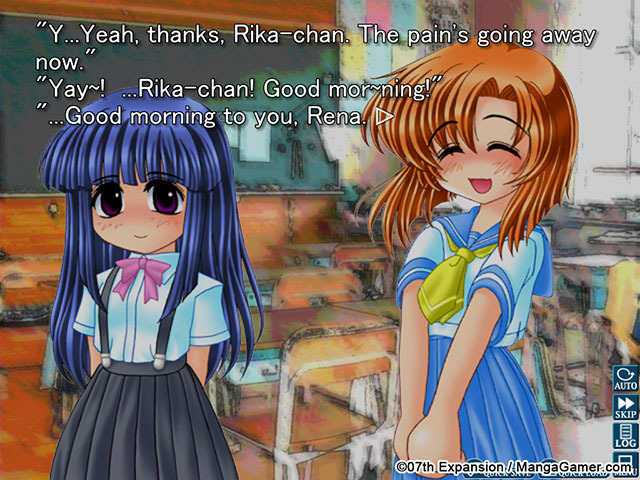 When Keiichi teases Rena, Rika comforts her. In fact, Rika comforts whomever is in need of comfort. She seems happy with it. Great, well-written story. 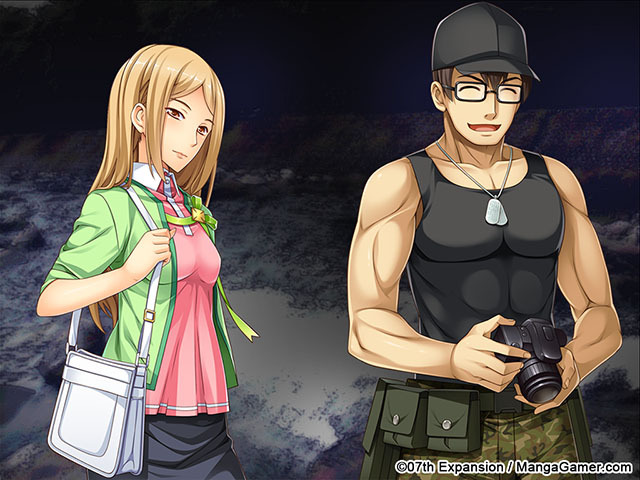 Art is rather lacking (there are no CGs), but that's a minor complaint. Translation is good; MUCH better than old version MG put out. Wish there was voice-acting, but there sadly isn't (even the PS2 ports of the game in Japan had it). At only five dollars, it's well worth a buy. 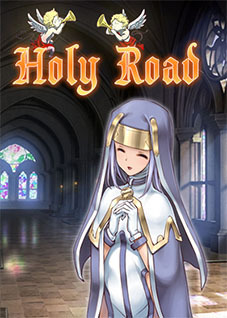 The updated sprites and translation is so beautiful! And with the cross-buy on Steam makes it even better if you want to share this experience with a friend. 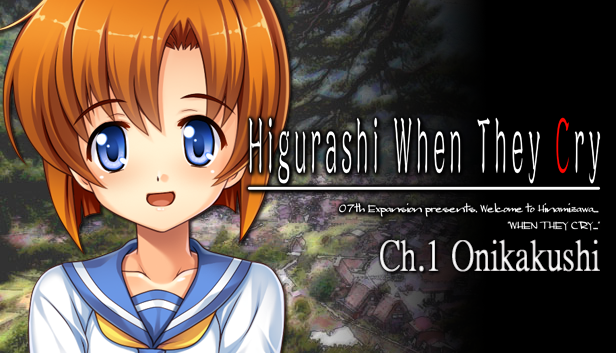 Higurashi is one of the classic sound novels to have ever been created. 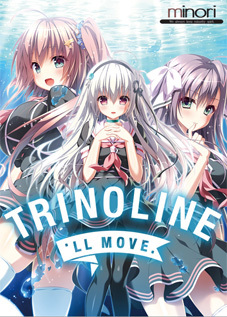 To those who have seen the anime, be sure to check this out! 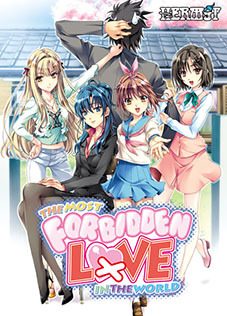 This videogame got me into visual novels. I love it, it's incredible... Just amazing. 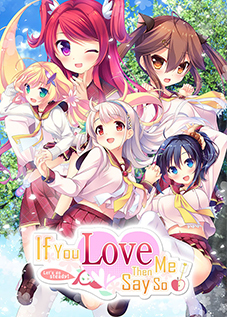 I'm very impressed with the steam version, I'm looking forward to re-reading chapter 2, with proper translations and hard work mangagamer is delivering. I can not wait for the Umineko steam release, It's my favorite novel ever, and I believe you guys will deliver it in a satisfactory manner. I am so happy I was able to play this on steam! Not only an amazing visual novel, but ACHIEVEMENTS! (I am an achievement whore). I love it! I'm a little sad that the french version isn't included in this one, but the updated graphics are SO good! 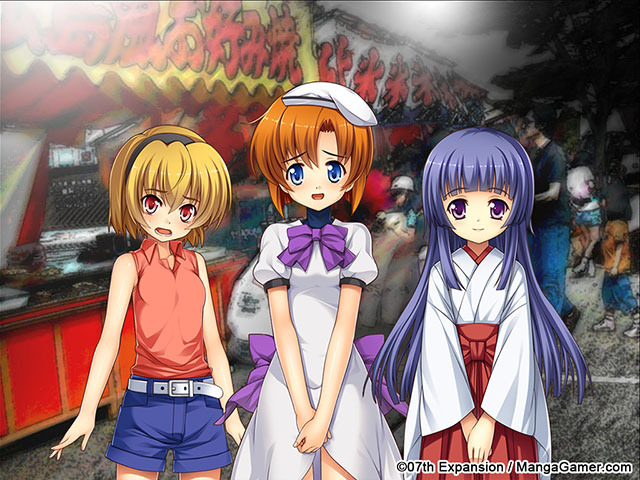 The original soundtrack is also good, but in the first chapters of Higurashi, the music is not the highlight (except for the creepness factor). I really like that it's easy to mod too. The story is one of the best mystery in the Visual novel genre. The english version is very good compared to the last version, but I personnaly don't like the use of Onikakushi and Watanagashi (I guess I'm less of a purist when it comes to translation). All in all, it's a must buy!